The Baller is now part of the Week 4 challenges of Fortnite’s Season 8 (just as we thought it might last week). To earn extra Battle Stars this time around, you’ll also be tasked with more pirate-y fun, like launching cannons and searching for buried treasure! Most of the week 4 challenges involve activities you do just by playing the game! Landing in different named locations, using weapons, eliminating opponents… Yeah, that’s how you play Fortnite. You shouldn’t have any trouble completing those challenges. For the less straightforward week 4 challenges like how to search for buried treasure and where to find Ballers/Pirate Cannons, we’ve provided maps and guides for you below. The spawn rate of these fun new battle-balls has just been decreased with the most recent patch, so the hardest part of this challenge is finding a Baller to use! 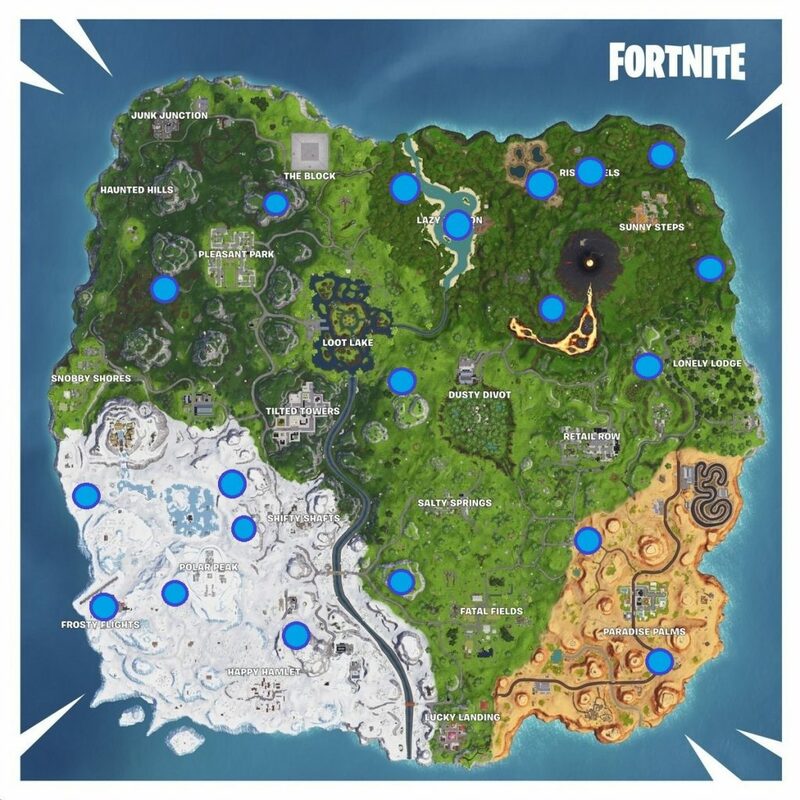 In the map above, we’ve posted all the current Baller locations on the island. 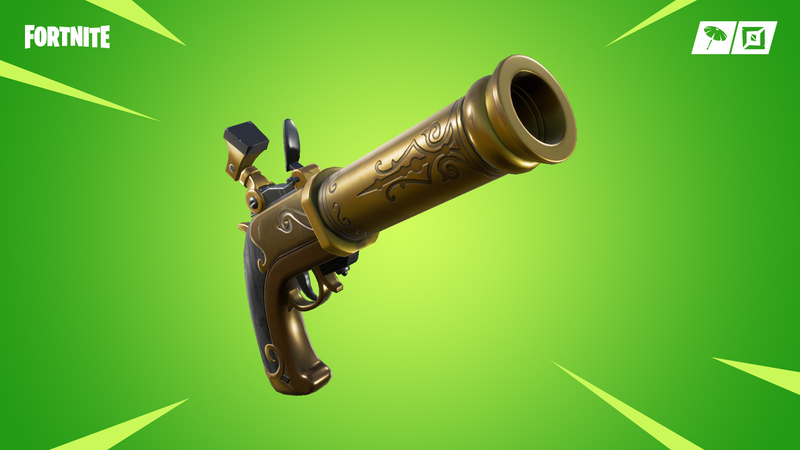 You can find Pirate Cannons at the various Pirate Outposts that were added to the map at the beginning of Season 8. We had to find them to complete one of the challenges in Week 2. Use the map above to remind yourself where they’re located. Once you find a cannon, you simply need to use it! Keep in mind that you can launch yourself into both player-made structures as well as destructible buildings that are already part of the map! First and foremost, you need to find a map. The treasure map you’ll need is a lootable item that you can find in chests or on the ground. So, the best thing to do is land as far away from your opponents as you can at the start of a match to give yourself some time to search around for it. These treasure maps are not terribly common, so don’t give up if you can’t find one right away. When you use the map that you’ve found, you’ll see a red dotted-line appear that will guide you to the treasure’s location. The spot will be marked with an “X” (of course), and you’ll also see a beam of golden light. Switch to your pickaxe, start digging, and you’ll uncover a special chest with upgraded loot. Do that and you’ll complete the challenge! Which challenge are you having the most trouble with this week? Let us know in the comments below!